They were originally a form of bibliomancy. 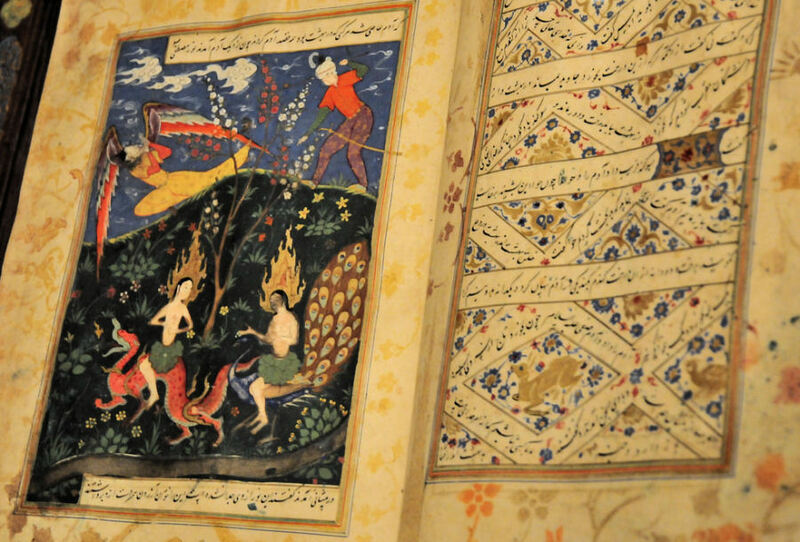 You underwent a ritual purification, presented your inquiry to the book, then turned to a page in that book, which would be a spread of beautiful art– usually religious art– and a few poetic verses. 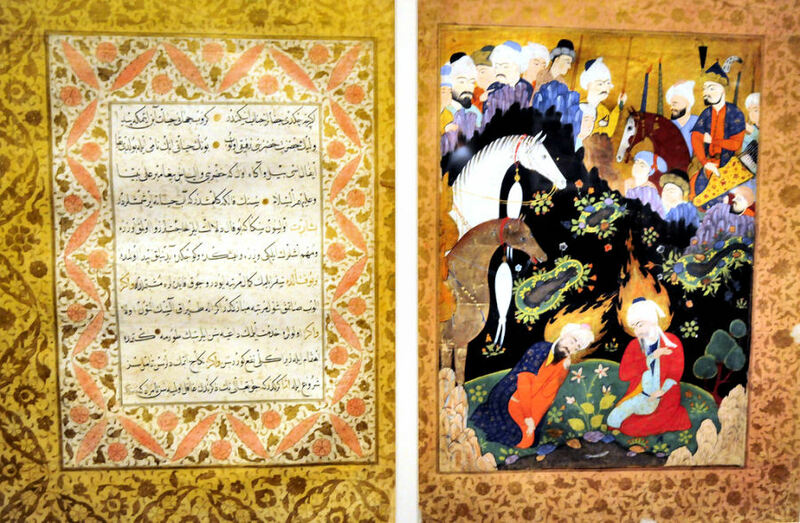 The art and verses together are interpreted as a divinatory answer to your question. 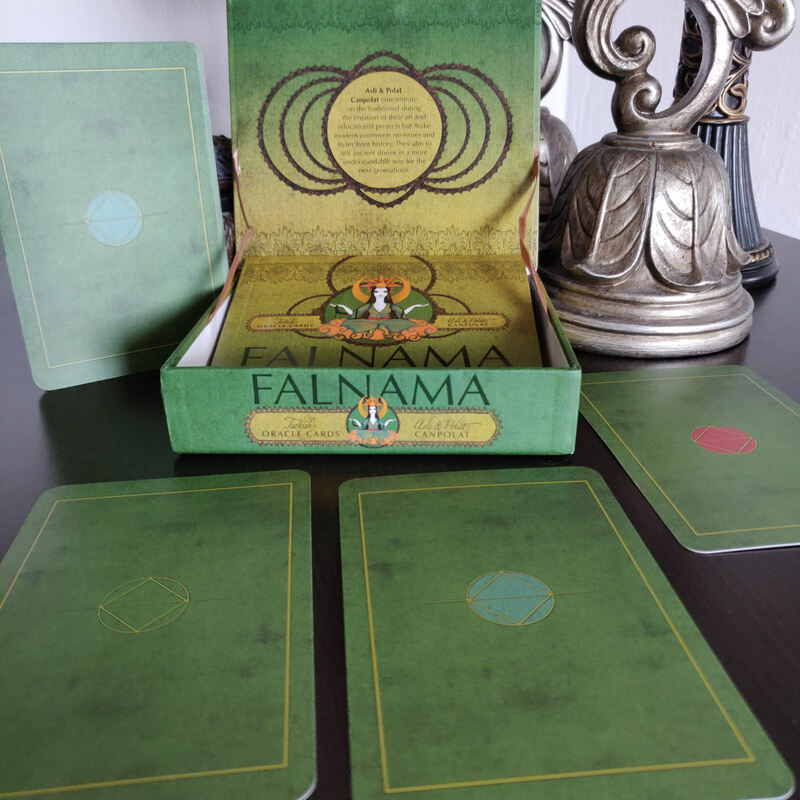 The Falnama Oracle Cards are inspired by that tradition. The product description notes that these cards are a contemporary update from the historic Falnama books. 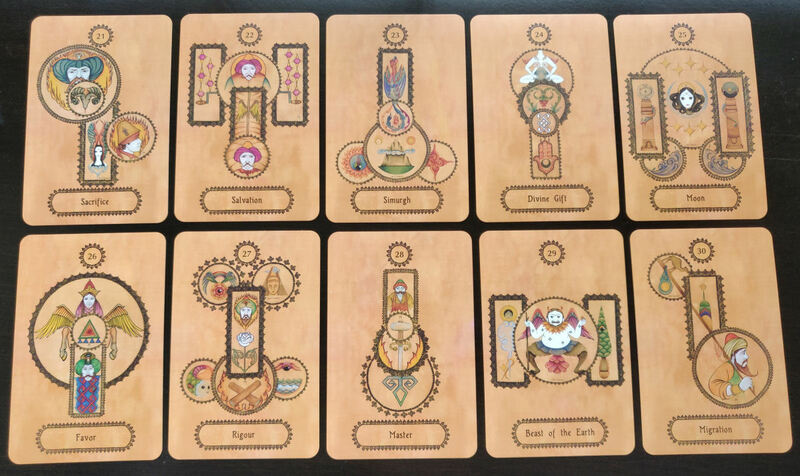 From what I could discern based on seeing the actual Falnama books and these oracle card meanings is it’s essentially less religious and keeps the oracular messages more secular than steeped in the classical stories of the Prophet. 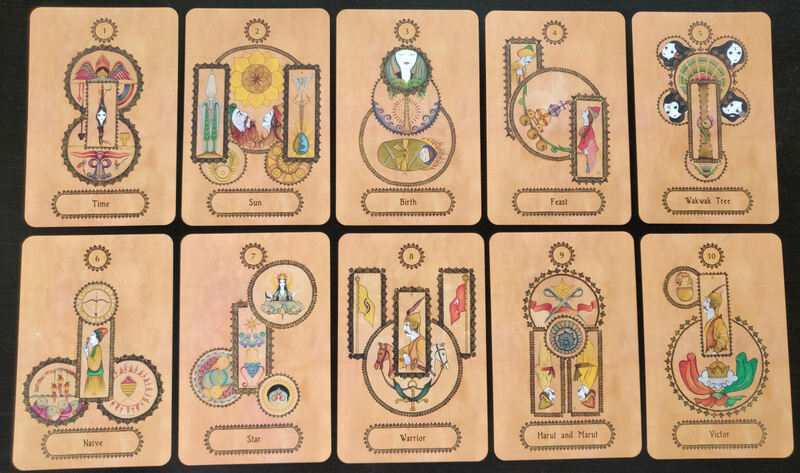 These oracle cards are beautifully done and transport you to a new universe of mindset. 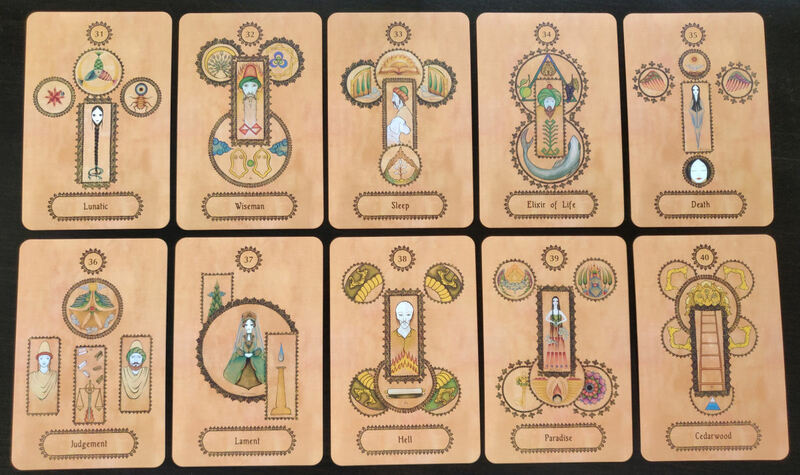 I was tickled to see quite a bit of cross-over with tarot card concepts, like the Sun, Moon, Judgment, a card that reminded me of the Devil card, another that reminded me of The Lovers, etc. Before proceeding, practice some form of personal purification or personal energy clearing, whatever your own go-to method is. Perhaps it’s to anoint yourself in all the key pulse points with a purification anointing oil. Maybe it’s a ritual bath. Maybe it’s to sage yourself or smudge yourself head to toe with the smoke of purification incense. A selenite wand can also do the trick. As you shuffle the cards in your hands, meditate on your question. Then pull a single card. This is like turning to a single page in the Falnama Book of Omens. The keyword on the card is an anchor point for you. What emotions does the imagery evoke for you? Then turn to the corresponding page in the companion book and read the verse. I’ve found this simple divination method to be powerful, enlightening, and eerily on point each time. 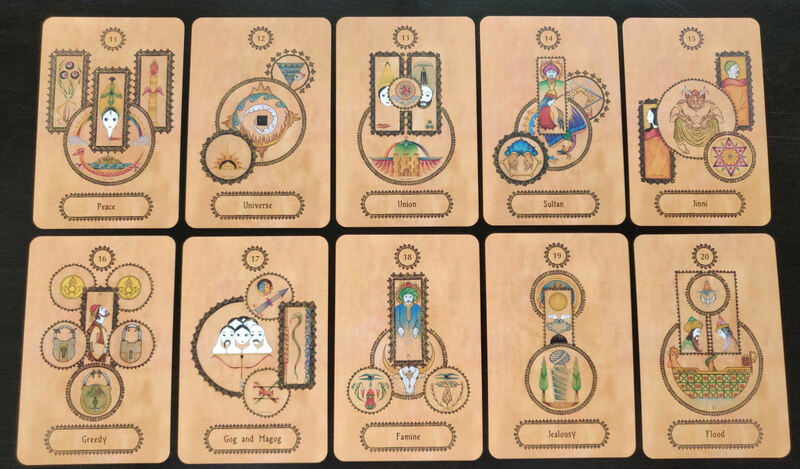 If you’re interested in learning divinatory systems from different cultures, then you are going to love the Falnama Oracle Cards. These are stunning! From a mid distance they almost look like Navajo sand paintings! Definitely going to take a look at these. Thanks Bell! This is really interesting, thanks for sharing. I’m really fascinated by how concepts have spread throughout humanity across the globe. I feel like there might just be truth in the shared concepts. This also reminds me of how careful we need to be with Iran. They have such a rich culture, amazing artifacts, and their history is theorized to go back to the beginning of human society. If what happened to Iraq happens to Iran, it will be an utter tragedy for the rest of time. We still ache over the loss of the Library of Alexandria! And we barely know the tip of the iceburg of what is there for us to learn within the governmental walls of Iran. We need to have a peaceful solution to bring Iran the global society. As someone who’s half Iranian, thank you for talking about these! These cards are gorgeous. 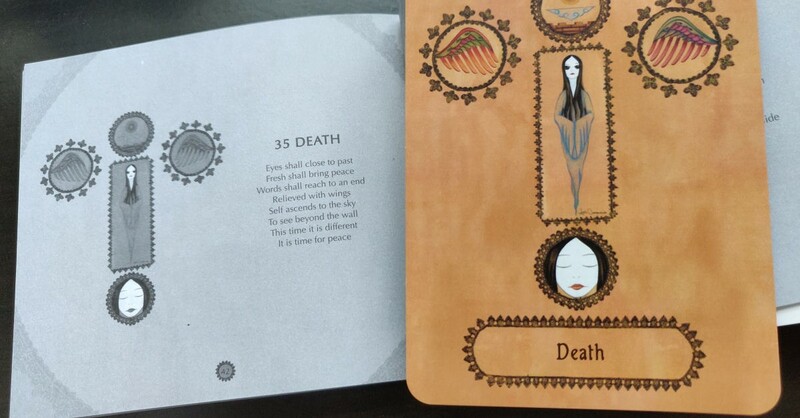 I’ve never heard of this deck before, but I’ll definitely look into buying this sometime soon.